This site naturally works well for a bank barn because of the abrupt slope of the ground. 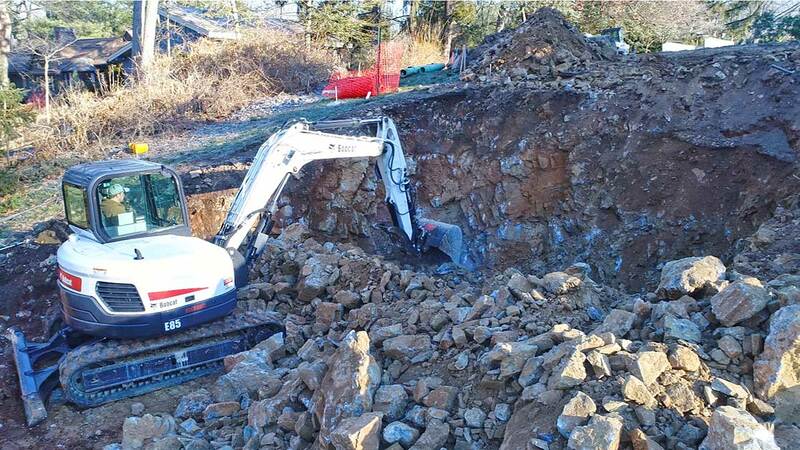 Even though the excavation was quite rocky, BedRock Siteworks dug out and hauled away tons of material. Then the site was prepared with pre-manufactured concrete walls resting on a simple stone base.